Charlotte, NC (May 24, 2017): David Weekley Homes, the nation’s largest private home builder, is expanding its offerings in the south Charlotte area with the introduction of the Massey Classic Collection 60’ and 70’. Located in Fort Mill, SC, homes in the Massey community start from the $275s. Homebuyers can choose from 11 one- and two-story floor plans featuring three to five bedrooms, two to three full baths, one half bath and two-car garages available in both collections. The new homes offer between 2,000 and 3,500 square feet of living space with second-floor Owner’s Retreat, secondary bedrooms and utility room. 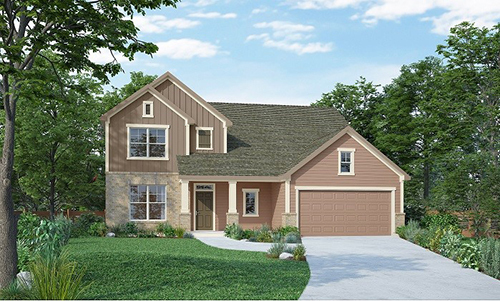 Beginning May 26, visitors to Massey Classic Collection 60’ and 70’ can tour The Wiltshire model home that has three bedrooms, two full baths, one half bath and two-car front-load garage. The 2,700-square-foot home will be open Sunday and Monday from 1 to 6 p.m. and Tuesday through Saturday from 10 a.m. to 6 p.m. Residents of Massey have access to an amenity center with a 24-hour gym facility, clubhouse with movie theater and kitchen, playground and community pool with a lazy river, splash zones, water slide and children’s pool. Several nearby family-friendly activities include Anne Springs Close Greenway, downtown Fort Mill, Uptown Charlotte, U.S. National Whitewater Center and more. Students attend Fort Mill School District schools, including Doby’s Bridge Elementary, Fort Mill Middle and Nations Ford High schools. For more information about David Weekley Homes in Massey Classic Collection 60’ and 70’, call 704-972-4244.